Artfully Rooted Marketplace consist of 23 artists, artisans, collectors, and vendors with an eclectic mix of artistic decor and fashion. 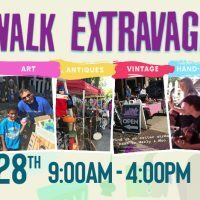 Numerous outdoor vendors will host their treasures during this event in addition to Artfully Rooted's indoor merchandise. There will also be live music and refreshments! Free admission *Cost of purchases.